The largest chunk of that market, by far, is for sales of anti-wrinkle lotions and creams. According to InStyle, a typical consumer who buys a midrange anti-aging cream will spend $36,720 on products over a lifetime, while a more luxurious cream will cost $197,880.3 For all that money, what kinds of results do consumers get? And how safe are the products available? The consensus among medical professionals is that topical creams won’t cure wrinkles, no matter how fancy or expensive. According to Dr. Fayne Frey, a New York dermatologist, “In 25 years, I've never seen a real wrinkle or fold repaired with a cream. The skin is an amazing barrier and things don't penetrate it easily, which is why topical creams don't work well. "4 Another dermatologist, Dr. Marsha Gordon of the Mount Sinai School of Medicine in New York, says, “The bottom line is that if these creams could accomplish the same thing as a medical procedure, they would be drugs and not cosmetics -- and that's what you have to keep in mind when deciding whether to try or buy. "5 And Dr. Evan A. Rieder of the NYU Department of Dermatology says, "The best proven anti-aging treatment is sunscreen.” Many of his colleagues agree. In spite of these dismal views, so many advertisements promise that if we only use such-and-such product, years will vanish, we’ll look as young as our grandkids, and the results will be better than Botox. It’s hard to know who to believe—the experts who say the creams are useless, or the advertisements replete with testimonials. Should you shell out $100 to try the touted product or just take the broad jump to Botox or should you just surrender to the fact that you’re old as crap and accept sagging skin? Sadly, there aren’t a lot of independent clinical studies to consult for guidance as to what works. Most of the research on anti-wrinkle creams has been paid for and conducted by cosmetic companies that have a vested interest in positive results. And in fact, “cosmeceuticals,” a category that includes wrinkle creams, aren’t considered drugs so they aren’t required to have the same level of testing that pharmaceuticals are subject to. As long as advertisements don’t directly claim to repair wrinkles (instead, they say they “minimize the appearance of wrinkles” and so on), they aren’t subject to the FDA’s regulations and manufacturers aren’t required to report on adverse events resulting from using their products. Even the doctors agree that while lotions and potions may not completely erase deep wrinkles, some formulas may help to make skin look younger. None will be as effective or fast as Botox or surgical solutions, but some formulas do reduce brown spots, increase collagen production, eliminate dead cells, and as the packaging says, “minimize the appearance of wrinkles,” especially if they include retinoids. According to dermatologist Shari Lipner of New York-Presbyterian Hospital and Weill Cornell Medicine, "[Retinoids] are really the only medication that we have evidence for in reducing the signs of skin aging." Retinoids come from vitamin A, and they’re available in many forms and strengths, some of which require a prescription (retinol, retin-A, tretinoin). Unfortunately, the slow peel aspect may cause inflammation, flaking skin, burning, and itching in some people.7 These effects are so common that there’s an associated term: retinoid dermatitis. Of even more concern, there’s some evidence that retinoid products can trigger tumor growth and cause reproductive and developmental abnormalities. The Skin Deep Cosmetics Database rates retinol as extremely hazardous. One prescription-strength form of retinol (tretinoin) has been banned in the EU.8 To avoid problems, experts recommend starting with the lowest potency retinol available and using it very sparingly, starting at only a few nights a week. It can take three months or so to see results, with continuing improvement for up to a year. Or, use a product containing carotenoids rather than retinol. Carotenoids are a plant-derived, gentler alternative that converts to retinoids once applied to human skin. The newest kids on the anti-aging cream block are pentapeptides (palmitoyl pentapeptide-3. palmitoyl oligopeptide), which are long-chain amino acids that allegedly stimulate collagen production. 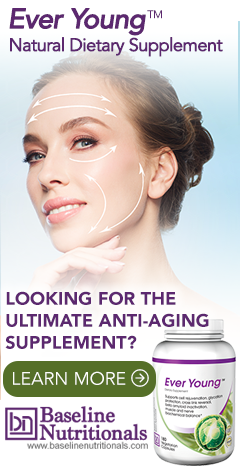 Collagen is the “support layer” under the skin’s surface that gives it a youthful appearance. As collagen volume declines with aging, wrinkles appear. There are no clinical studies yet supporting that pentapeptides do what the cosmetics companies claim, although they have been found useful in wound healing and some experts extrapolate from that. "I think you'll get some activity with the creams, but not anywhere near what happens during wound healing," says Dr. Sumayah Jamal of the NYU School of Medicine. Even most of the cosmetics companies admit that for more profound results, Botox or fillers do a better job, but there are issues to consider should you choose that route. If you do opt to try an anti-wrinkle cream, you might want to review this recent Prevention article listing their picks for the top products and check the results against the Skin Deep database. On the other hand, you might want to try an entirely different and more effective approach: try making your skin look more youthful from the inside out. First, you want to cut back on foods that accelerate aging, including alcohol, trans fats, high sodium foods, which all reduce skin hydration. Foods high in sugar, which increases the production of AGEs (Advanced Glycation End-products) that destroy proteins in the skin. Speaking of which, you can supplement with an L-carnosine based formula to reverse that process. Oh, and I almost forgot. Don’t smoke. Cigarettes and/or vaping are among the worst things you can do to accelerate the aging of your skin. And if you do smoke, then you absolutely want to be using a full-spectrum antioxidant formula that contains NAC, OPCs, and green tea extract to help alleviate as much of the damage as possible.